OnSite support supplies a wide range of safety helmets all of which are industry compliant and offer optimum protection depending on the job. 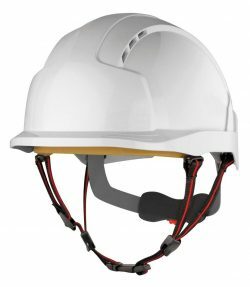 We stock EN397 and EN12492 working at height helmets as well as visors, personalised stickers, chinstraps and safety compliant helmet liners or beanies for the colder weather. Personalised printed hard hats are also available for the ultimate in corporate branding.